Among 55+ communities in Central Florida, Cypress Lakes is an award-winning community known for offering the opportunity for an exciting, active retirement lifestyle within the limitations of a retirement budget. From handsomely appointed and affordable homes to world-class amenities both within our community and in the surrounding region, life at Cypress Lakes is like a dream come true for hundreds of active adults who enjoy living life to the full. And, because Cypress Lakes is one of five 55+ communities owned and managed by Blair Group – a company that is committed to providing first-rate, affordable resort-style living for retirees – you can trust that you are making a wise investment. In fact, Cypress Lakes has been honored with the “Land-Lease Community of the Year South” award recently – a testament to the quality of life we offer our residents. 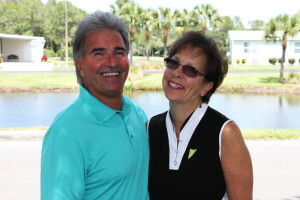 The amenities that truly set Cypress Lakes apart from other 55+ communities in Central FL are our onsite golf courses – making us the perfect choice for active adults who enjoy this wonderful pastime. We offer two spectacular 18-hole courses that wind through our 1,000-acre development, complete with a driving range, putting green, and fully stocked pro shop that is staffed by an onsite PGA professional. Our pro is available not only for casual advice, but also for individual and group lessons regularly. If you’re interested in discovering more about what sets Cypress Lakes apart from other 55+ communities in Central FL, contact one of our friendly Lifestyle Consultants today.